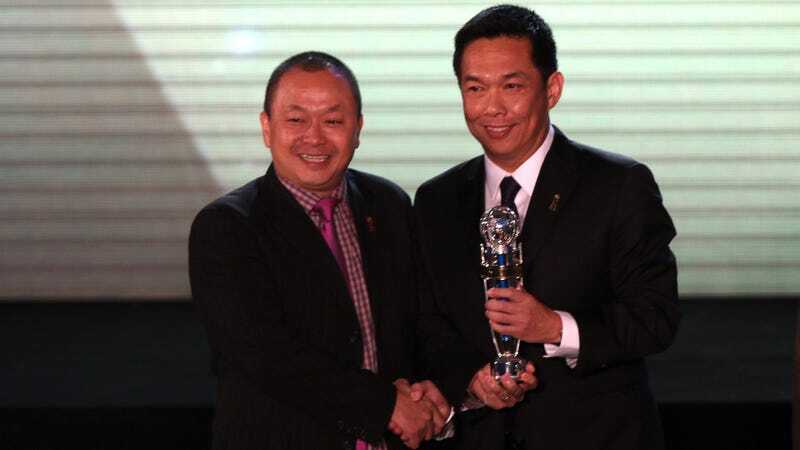 Richard Lai, the president of the Guam Football Association and a member of FIFA’s corruption-fighting audit and compliance committee, pleaded guilty yesterday in U.S. federal court to fraud charges arising from his admission to taking almost $1 million in bribes. Lest you were wondering if FIFA is still FIFA. According to the criminal information to which Lai pleaded guilty, he received more than $850,000 in bribes between 2009 and 2014 from a faction of officials in the Asian region in exchange for using his influence as a official. The cash was intended to advance the interests of the faction that bribed him, including by helping officials in that faction identify other officials to offer bribes. Lai also received $100,000 in bribes in 2011 from an official of the AFC who was then running for the FIFA presidency, in exchange for Lai’s vote and support in the then-upcoming presidential election. Lai’s plea deal, in which he copped to two wire fraud conspiracy charges and agreed to pay forfeiture and penalty fees of over $1.1 million, is the first guilty plea U.S. officials have gotten in the course of their prosecution of the shady business of FIFA. Today, FIFA has provisionally suspended Lai. An American citizen, Lai appeared in court in Brooklyn yesterday to make his plea official. The judge took note of the particularly galling nature of his venality as a man on the take who worked on one of the FIFA committees tasked with keeping corruption out of soccer. Galling as that fact may be, it’s also just about the perfect distillation of the contemptible cesspool that is FIFA.